Radionics/Bosch Security Systems fire alarm control panels and fire product accessories meet the most demanding industry requirements. Through our participation in Underwriters Laboratory (UL) and NFPA code committees, we are aware of new codes as they are implemented. As an authorized Radionics/Bosch Security Systems dealer National Security Systems Inc. has many options for your fire alarm system needs. Radionics/Bosch Security Systems offers a broad line of fire alarm control equipment ranging from a 3-zone Digital Alarm Communicator Transmitter (DACT) to a high-end integrated, intelligent fire alarm controls. 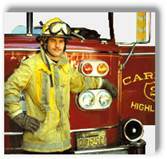 Each system is designed to provide accurate, local response to all types of fire hazards. Using the latest communications technology, critical information is processed and transmitted to responding agencies. The fire alarm system can also interface with other building functions during an emergency, for example, it can control the heating and ventilation systems, or unlock doors on an access control system. As well as providing reliable fire detection capabilities, Radionics/Bosch Security Systems fire alarm systems can also be used as integrated controllers for intrusion and access control systems. The latest development in the Radionics/Bosch Security Systems fire product line is a series of analog fire control systems. The use of analog technology allows improved system expansion and networking capabilities for up to tens of thousands of detection points. The Radionics/Bosch Security Systems fire product line includes a wide range of accessories to meet most fire detection applications. All devices are UL Listed and compatibility listed with the appropriate Radionics/Bosch Security Systems fire alarm control panel. The Radionics FPD-D7024 is a 24 VDC, UL Listed Conventional Fire Alarm Panel with integrated digital alarm communicating transmitter. This 4-zone panel is expandable to 255 zones. The economically-priced control is supported by a wide line of accessory devices to meet the requirements of your conventional fire alarm applications. Two Notification Appliance Circuits provide up to 2.5 amps of 24 volt power to operate horns, strobes, bells and other notification Appliances. Additional system power can be added using the D7038 Addressable Notification Power Supply. The system has restricted access function keys to allow silencing of alarm and trouble conditions, zone bypassing, detector resetting, testing and other fire functions. The D7024 can be used in commercial and public building applications such as schools, universities, manufacturing plants and health care facilities. It is listed by UL for Central Station, Local, Auxiliary and Remote Station Systems. The Radionics D10024 is a 24 VDC, UL Listed analog fire alarm control panel which supports up to 5 polling loop modules, or 630 addresses. With full networking capabilities, the system can be configured to meet the requirements of any size system. It includes: 500-event memory log, alarm verification, built-in front panel, programming, and optional laptop programming. UL Listed for Central Station, Auxiliary, Local and Remote Station fire applications. Schools, universities, manufacturing plants, health care facilities, and high rise buildings are some of the more complex installations the D10024 is designed to support. It is compatible with a diverse line of Bosch Security System initiating and indicating devices. The Radionics D8024 is a 24 VDC, UL Listed analog fire alarm control Panel (FACP) that provides point identification through addressable, analog devices. Each Radionics D8024 fire alarm panel has two expansion slots to accommodate plug-in polling circuit modules. Each module supports 126 analog addresses, giving the panel a potential of 252 addressable points. Flexibility in system design allows the option of grouping device points together and identifying them as one location or zone, in order to simplify system operation. 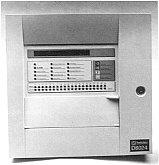 The Radionics D8024 fire alarm panel may be combined with up to three other Radionics D10024 fire alarm panel in a shared zone network, or with up to nine other fire alarm panel in a Report and Control Network. The Radionics D8024 fire alarm panel supports complex installations such as schools, universities, manufacturing plants, health care facilities and high rise buildings. The Radionics D8024 fire alarm panel is compatible with a diverse line of Bosch Security Systems initiating devices and alarm notification appliances. The Radionics D9124 is a 24 VDC, 246 point addressable fire alarm panel that supports a variety of installation applications. It is CSFM and FM approved and conforms to NFPA 72. Schools, universities, manufacturing plants and healthcare facilities are some of the more complex installations it is designed to support. You can also choose from a diverse line of Radionics/Bosch Security Systems initiating and indicating devices, all backed by an industry reputation for quality. UL Listed for fire, intrusion and fire/intrusion combination. Accurate information from individual points is communicated to the Central Station Monitoring facility. The detailed reporting capability of the Radionics D9124 fire alarm panel provides a solution to system service and maintenance problems. The silencing of a "troubled" condition is a common occurrence with fire alarm systems. Using the Radionics D9124 fire alarm panel, your maintenance person won't be able to silence a "trouble" condition and forget about it. The location and time of the "trouble" will be reported to the central station and the required action can be taken. The base Radionics D9124 system configuration supports 127 points of detection or supervision. Optional accessory modules expand the system's capability to 246 point of protection. The Radionics D9124 controls complex alarm systems used in schools, universities, manufacturing plants, and health care facilities. It has keyed controller access and is suitable for installation in public access areas. The Radionics D2071A is a 12/24 VDC, UL Listed, three-zone digital alarm communicator transmitter (DACT). It uses two phone lines to transmit to the receiver. In a slave application, zone 1 can be used to monitor an alarm output on an existing FACP. Zones 2 and 3 can be used to monitor a trouble output on an existing FACP in a slave application. The D2071A is UL Listed for NFPA Standard 72. The Radionics D9068 Fire Communicator is a complete Digital Alarm Communicator Transmitter (DACT) for use with compatible Fire Alarm Control Panels (FACP). Alarms and communications to the D9068 may be accomplished by using dry contacts or open collector outputs. Radionics/Bosch Security Systems offers a wide range of 12 and 24-volt sensors, including: ionization, photo-electronic, addressable and analog addressable smoke detector heads and bases, and heat detector heads and bases. Radionics/Bosch Security Systems also offers a full range of 12 and 24-volt sounders, including: motor bells, horns, mini-horns and strobes. Radionics/Bosch Security Systems provides complete Fire Alarm System solutions. Radionics/Bosch Security Systems panels cover all types of job requirements from small conventional systems to large analog detection networks. As an authorized Radionics/Bosch Security Systems dealer, National Security Systems Inc. can help you select a fire alarm system to meet all your project and budget needs.